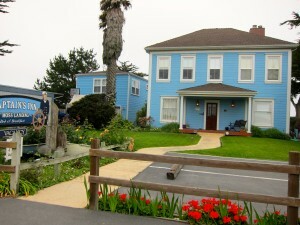 Centered in the curve of Monterey Bay, midway between Santa Cruz and Monterey, on California’s famous Highway 1, Moss Landing is hard to miss, yet most drivers whiz by headed for more famous neighbors. This is a mistake. A big mistake, as the tiny fishing village is a hidden treasure yielding rich rewards for nature-loving foodies who dip in for an overnight stay. Packed with more marine creatures, waterfowl and migratory birds than with tourists, Moss Landing offers great opportunities to get up close and personal with wildlife. 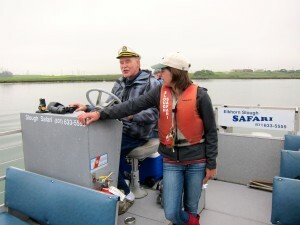 The village sits at the mouth of Elkhorn Slough (pronounced slew), a seven-mile long tidal slough and estuary hosting more than 400 different species of invertebrates, 100 different species of fish and 300 different species of birds. What you see depends on the season, but no matter the time of year, or time of day, cruising on The Safari, a 27-foot pontoon boat, through the Elkhorn Slough Wildlife Reserve with Captain Yohn Gideon and a certified naturalist at the helm, you will be graced with more wildlife than you could ever imagine. 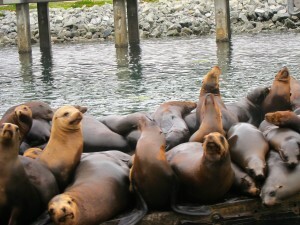 Because the mouth of Moss Landing’s harbor opens to the head of the massive Monterey Submarine Canyon, and because the sloping canyon walls provide a feeding ground for a myriad of marine mammals, whale watching cruises from Moss Landing are exceedingly productive. Most boats promise a 90 to 95 percent chance of spotting whales and have some sort of refund policy if whales aren’t seen. Captain Mike Sack and marine biologist Dorris Welch offer one of the region’s best four-to-five hour whale-watching cruise on their 39-passenger Sanctuary. 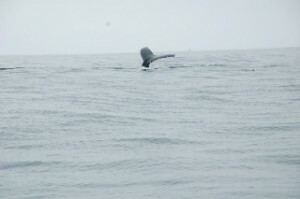 The Sanctuary rises above other whale-watching vessels as it is the only sustainable charter boat on the Monterey Bay. 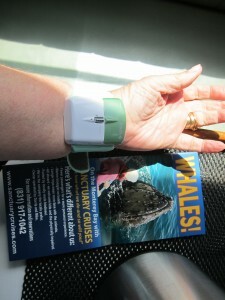 In addition, Sanctuary Cruises, unlike other cruises, provide passengers (for a rental fee) with electronic wrist bands that actually work to prevent seasickness. The very best (and actually the only) choice is Captain’s Inn, a garden-graced, AAA Three-Diamond B & B with four guest rooms tucked into an historic house and ten rooms in a separate waterfront boathouse. Although all rooms come with private bathroom, comfy beds and plenty of charm, the nautical decor, big beds crafted from boats and picture windows overlooking marshlands and abundant wildlife make the boathouse rooms extra special. Two musts! One for lunch and one for dinner. 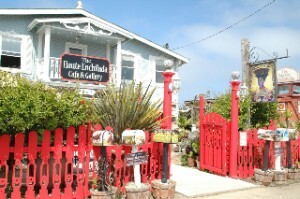 The Haute Enchilada is an eclectic mixture of cafe/art gallery with indoor and patio seating, local beers, premium wines, and a rustic Mediterranean/Latin-fusion menu featuring creative as well as favourite foods that are 100 percent organic and 100 percent delicious. 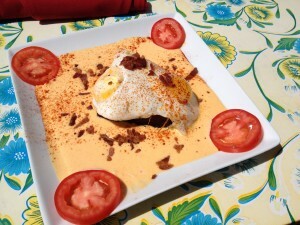 Owner Kim Solano invented the cafe’s most popular brunch/lunch dish—-the Peruvian Bird’s Nest–a colourful layered concoction of potatoes, beets, olives, eggs, bacon and hollandaise–recipe below. 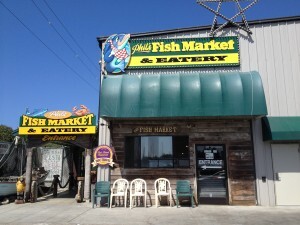 There is nothing fancy about Phil’s Fish Market & Eatery, except its reputation. Generally considered one of the best seafood restaurants on the California coast (BBC Travel calls it one of the world’s best), Phil’s lives up to the high praise. The three page menu showcases local as well as flown-in seafood prepared every which way as well as some non-fish items (chicken and meat) and a few supporting dishes (slaw, fries and simply spectacular desserts). Order from a counter, claim a seat indoors or out, and the food will be brought to your table. What to order? 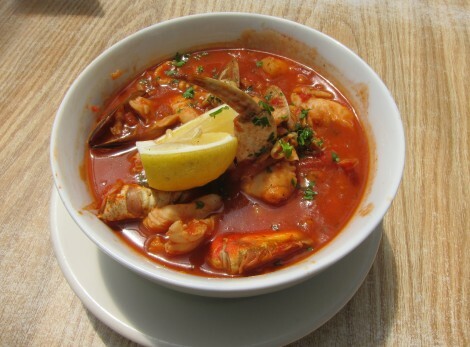 Owner Phil DiGirolamo says, “cioppino.” Indeed the fish stew claims star status as it Phil’s cioppino won a “Throwdown” with Bobby Flay. Put the olive oil, butter, and garlic in a wide, deep pot over medium heat and cook, stirring, until the garlic is fragrant, but not brown. Add the wine and the clams, and cover. Turn the heat up to medium-high and steam until the clams start to open, about 5 minutes. Add the mussels, cover and steam until the just start to open, about 2 minutes. Stir in the cioppino sauce, Worcestershire sauce and saffron and bring to a simmer. Add cracked crabs, if using, and the shrimp; simmer for about 5 minutes. Heat olive oil in a large saucepan over medium heat. Add onions and sauté until translucent. Add garlic, bay leaves, parsley and basil and cook, stirring, just to warm the garlic—do not let it brown. Stir in the crushed tomatoes, tomato puree, water, clam base, brown sugar, celery salt, Worcestershire sauce, black and red peppers, cinnamon and salt to taste. Bring to boil, reduce heat to low-medium and simmer uncovered, stirring occasionally, for about 1 hour and 15 minutes until thickened. Yield: 8 to 16 servings, depending on size of portion. Boil 1/2 of the potatoes with water and saffron until potatoes are tender. Drain potatoes and mash with 3 tablespoons butter. Season with sea salt. Set aside. Boil the remaining 1/2 potatoes with the diced beet until tender. Drain mixture and mash with remaining 3 tablespoons butter. Season with sea salt. Set aside. Put olives, garlic, capers, parsley, bell pepper, olive oil, lemon zest and lemon juice in a mixing bowl and stir until ingredients are well mixed. Grease a 9 X 14-inch casserole dish and line with plastic wrap so that wrap extends out of the pan. Spread the saffron potato mash in the bottom of the dish making a nice even layer. Add the olive mixture, forming another even layer. Top with a layer of the beet potato mash. Cover well with plastic wrap and refrigerate 3 hours. Fry eggs, sunny side, up in butter. Place two fried on top of each potato serving. Sprinkle with crumbled bacon and smoked paprika. Serve immediately.